About 1 in 7 American men will get prostate cancer in his lifetime. While the condition is serious, if caught early, there is a high rate of recovery. This type of cancer grows very slowly, making the likelihood of early detection high. Treatment for prostate cancer comes in several forms, which are usually used one at a time, but may be used in conjunction with each other. This treatment is usually reserved for men who are older or have more severe medical issues. Since the cancer grows very slowly, it may be contained or not show symptoms. This method involves watching the condition very carefully and actively testing to ensure it is not worsening. If the cancer has not spread outside of the prostate gland itself, surgery may be used to remove the gland and parts of the surrounding tissue altogether. Sometimes used in conjunction with hormone therapy, this treatment can be used if the cancer has spread outside of the prostate gland or for cases in which the cancer has come back after surgery. HIFU technology ablates prostate tissue by focusing high-intensity ultrasound waves on the affected area, causing localized heating that destroys the cells in the gland without damaging the healthy surrounding tissue. Used in treating early-stage prostate cancer and reoccurring cancer. This treatment basically freezes the prostate to destroy it. This treatment lowers the occurrence of male hormones, stopping them from having an affect on the prostate gland’s cancerous cells. Chemotherapy is effective for treating cancers that have spread. Anti-cancer medications are giving either orally or intravenously. Chemotherapy is typically used in later-stage cases of prostate cancer. An anti-cancer vaccine is used to boost the immune system, which fights off cancer cells. Vaccine treatment is normally used in cases of prostate cancer which present few or no symptoms, and the vaccine itself is custom-made for each individual patient it is used on. Bone-directed treatment is used in cases of prostate cancer that has spread from the prostate gland into the bones. Looking for prostate cancer treatment options? 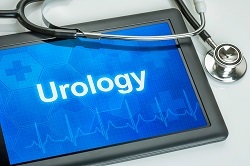 Call Greater Austin Urology in Austin, TX at (512) 540-3937 to schedule an appointment!